Since questions about my choice of note-taking supplies top my Frequently Asked Questions, I want to take a moment to give my readers a run-down of the supplies I keep on hand every time I note take and bullet journal (exception: I have a different kit for travel art-journaling) Go ahead and skip to the bottom for paper recommendations for bullet journals and sketchnotes. Endlessly useful. 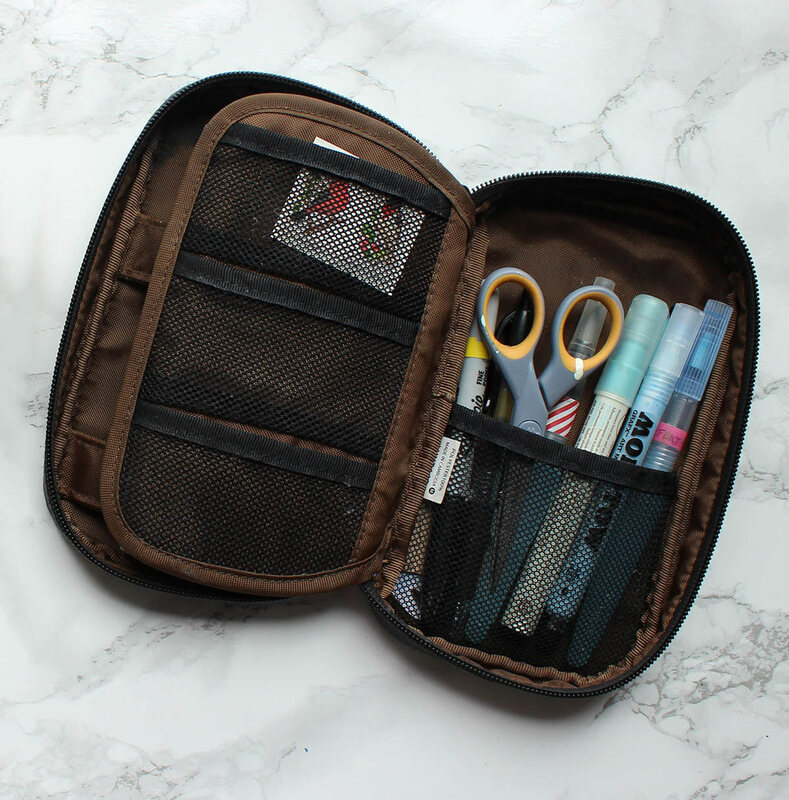 These tiny super sharp scissors fit in the back of my pen case and, paired with my glue pen, make it easy to cut out accents or important snippets and add them to my journal. Black, black, and only black. Consistent black lines give me the freedom to fill and shadow with more color. Though multiliners give the more sustainable option to replace nibs and ink as they wear our, these disposable pens are a consistent flow with ink that resists smearing under Copic inks. Mostly I keep these pencils around for making margin notes in textbooks, but the fine lead also works well, with a good eraser, to give yourself a bit of a temporary grid before you start inking in your layout. I tried the Martha Stewart glue pen and love it. I love it. It goes with me to school and work daily as a permanent resident of my pen case. It’s 10X lighter and smaller than carrying a bottle of glue and works way, way better than a glue stick to apply glue precisely and evenly. I’m typically a sucker for “real” art products, but I have searched art stores high and low for good erasers and my favorite remains the gummy, scented erasers from Daiso. 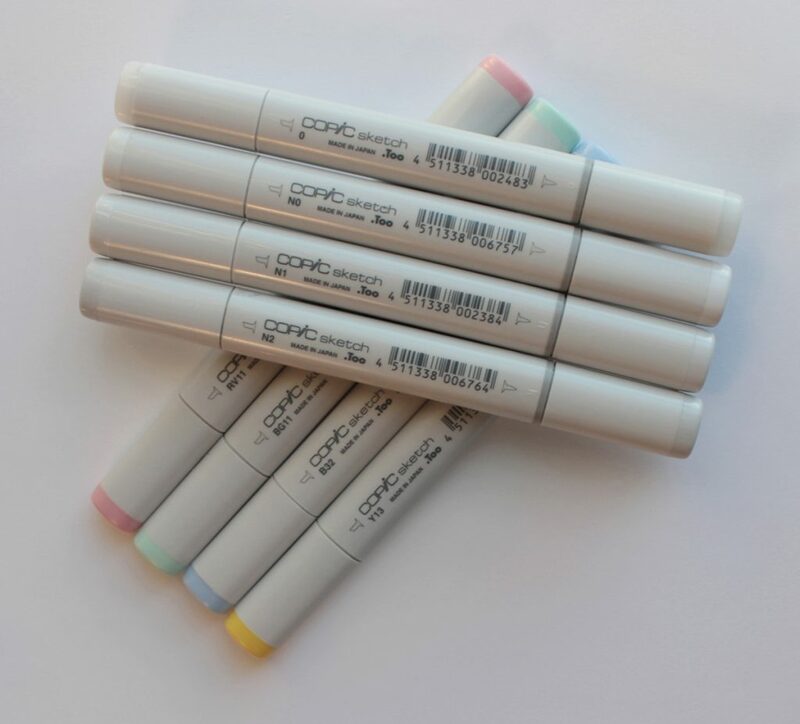 Copic markers, though expensive, are the top choice of professional illustrators because of the vibrant pigments and even-color fill. The ability to refill ink and replace nibs over time makes them a better choice than the imitation-copics hitting the market (I have Copic markers that are going strong at 10 years old, thanks to relatively affordable ink refills), but still a steep investment. 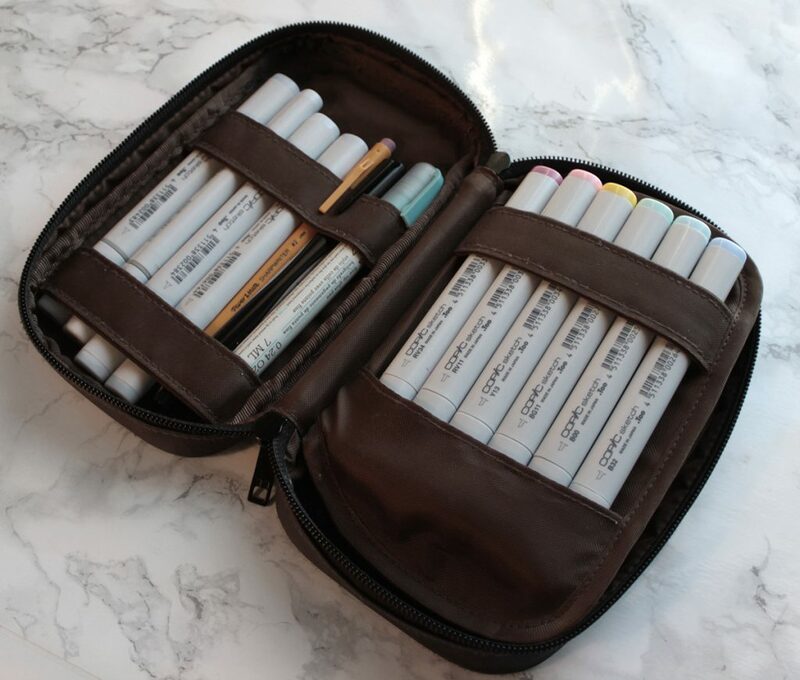 With the exception of professional illustrators, most of us don’t need a rainbow of Copics. Instead of buying the full set, find your personal palette. What 3-5 colors do you love? What colors natural occur in your art when you have a full-color palette? What colors dominate your wardrobe or your home decor? These are clues to your personal pallete. 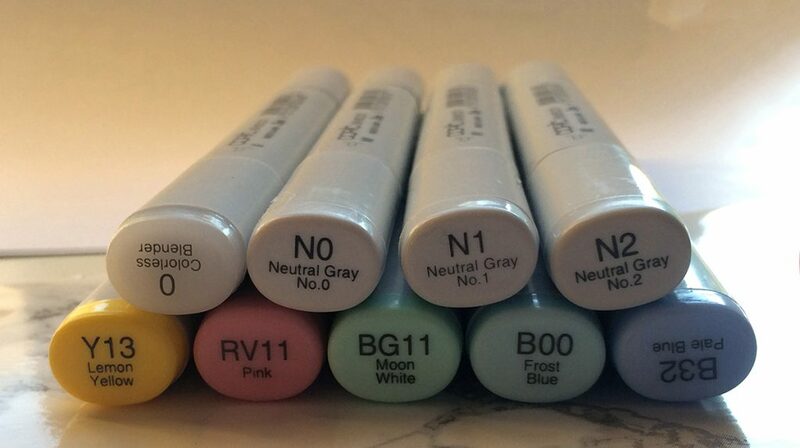 Once you find “your colors,” buy markers 1 at a time by color, and pair them with a set of neutral grey Copics. The combination of colors and grey overlay will give you access to thousands of shades without the cost of a full set. I’ve phased these out of my 2019 kit, but if your work requires both thin lines and bolder lines, these are indispensable. The multiple nib sizes, as well as replaceable nibs and refillable ink make the Multiliners my top choice for inking. My only complaint is that they can sometimes bleed, depending on the paper, if not allowed to dry long enough before filling the background with copic ink. Ya’ll, grey markers are the coolest. The. Coolest. Adding depth and shadows without making the page busy is their specialty- and I’ve got a tutorial about it. Also shown in this set is the COPIC blending marker. If you try copics, you’ve got to add this marker to your set. It will fade and feather one color or can be used to blend multiple colors together for a watercolor type effect. I’m a loyalist to post it Super Sticky notes and always keep a stack in my pen case for shorthand notes that are more temporary than belong in my bullet journal. I’m fairly convinced a ruler is a basic necessity, and this angle ruler is my pick. 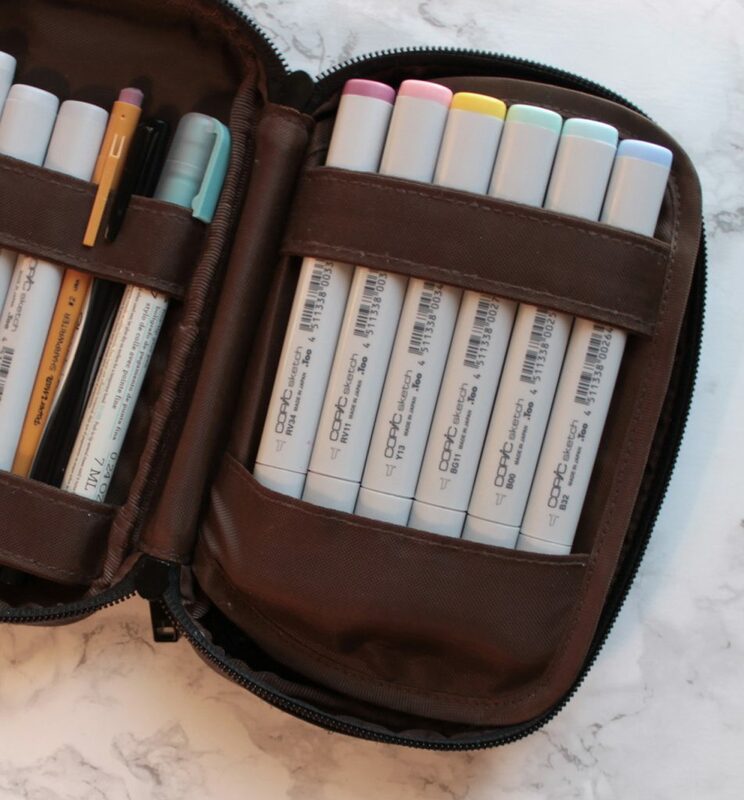 It’s practically useful, and the fact that it is flexible and foldable means that it slips into the back row of my pen case and resists breaking when I force the zipper closed over a few-too-many markers. I’ve ordered many pen cases and returned almost as many. 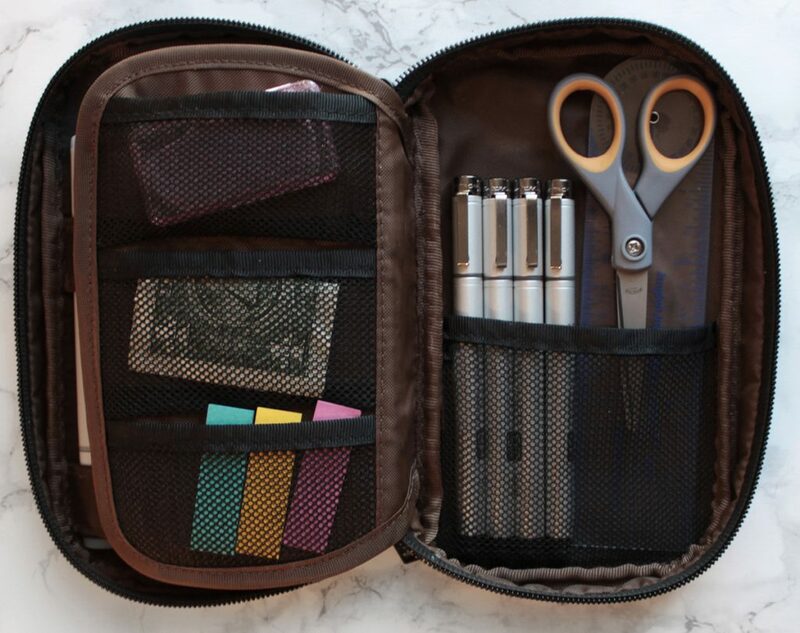 This Basic Pen Case gets my vote as the clear-cut winner. It’s cheap, and although maybe not the cutest, WOW has it held up well. After 4 years of heavy use (carried in my bag every day- through classes, international travel, camping trips, and public transportation) it shows virtually no wear. It’s sized well to hold copics and I like the center “page” layout- it helps make it feel more like a portfolio of writing supplies instead of a jumbled pencil case. 2019 Update: Lihit Lab recently introduced an XL version of this pen case. 1. For the past 6 months or so, I’ve been hooked on Whitelines Paper. 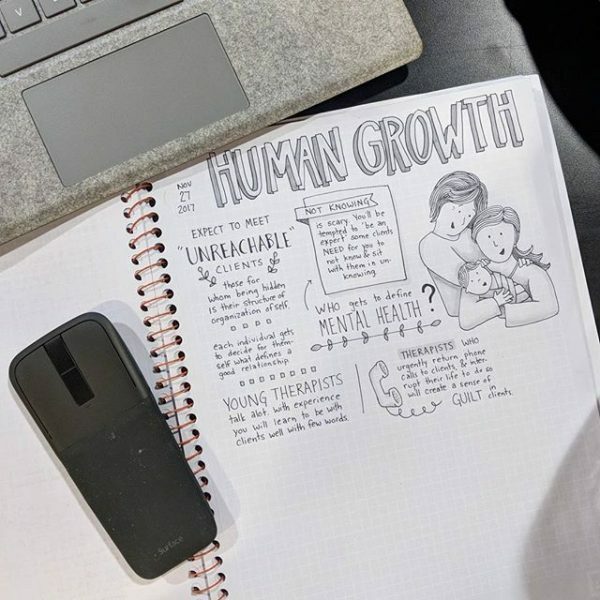 This innovative paper company has created paper with a very subtle grey grid that keeps doodles and headers straight without the intrusion of lines or lined grids. They had me at grey-on- grey, but could have converted me on paper quality alone. Whitelines is 3-4 times more bleed resistant and smudge resistant (miracle!) 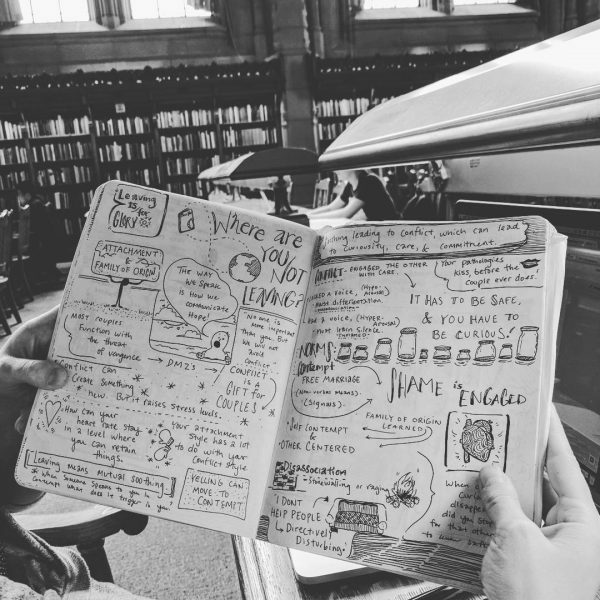 than Moleskine, Fabriano, or Leuchtturm’s papers. 2. 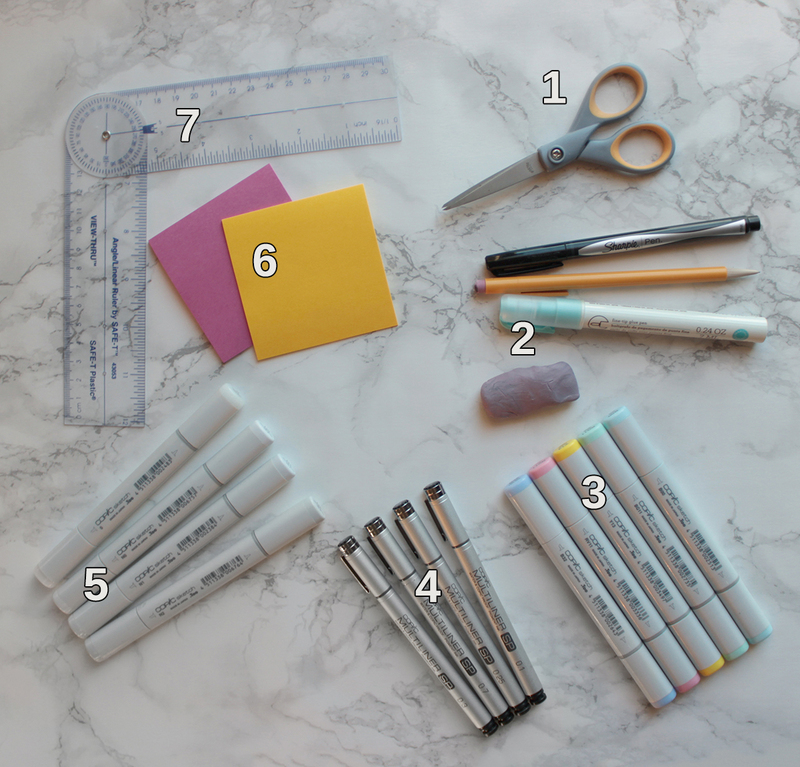 After I’d been using and recommending Canson Mixed Media Paper Spiral Notebooks for awhile, my artist friend Kate turned me onto Strathmore’s lovely new collection of softcover mixed media journals– perfect for bullet journaling. Both of these are great choices if you blend copics or use watercolor in your journals. These journals have mixed media paper, which has the heft to stand up to these stronger pigments.